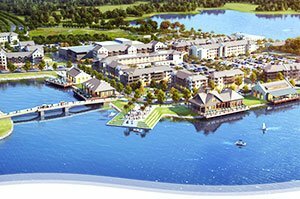 SARASOTA, FLORIDA, December 21, 2017 – Add LakeHouse Cove at Waterside amongst the new hubs of activity in the Sarasota real estate market for 2018. 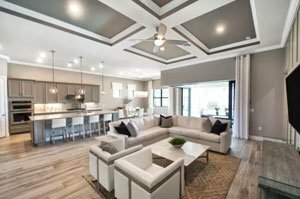 One of the builders in this Lakewood Ranch development, Homes by Towne, has announced that it expects a January opening of its first home models in this community. Homes by Towne, a unit of full-service real estate firm Zilber Ltd. of Milwaukee, Wisconsin, unwrapped its Sarasota homes for sale at LakeHouse Cove around mid-September. Although this builder is yet to open a Waterside sales center next year, buying interest has been keen on its home plans for this community. Homes by Towne is offering home designs from its Clipper and Catamaran series at LakeHouse Cove. The Clipper features five designs for 52-foot home sites while the Catamaran flaunts six floor plans for 65-foot home lots. Pricing for these residences starts from the high $300s and tops at the $500s. The floor plan choices range from 1,888 to 3,426 square feet. Another homebuilder, Arthur Rutenberg, is likewise offering its custom designs at LakeHouse Cove. Its price quotes start from $1.2 million including the home lot. LakeHouse Cove upon buildout will have some 390 single-family and multifamily homes surrounding a scenic lake. Directly accessible from this neighborhood is the amenity center Waterside Place, which will feature a clubhouse, pool, fitness center, and an event lawn as well as varied lifestyle programs and options. 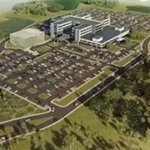 These same amenities are helping push buying at the Shoreview community where the first Waterside sales opened summer of 2017. Its designated builder, Pulte, disclosed recently that it has already notched seven sales moving into the year’s fourth quarter. The MLS of Sarasota homes for sale currently features a Shoreview listing with a price quote in the $700s. It has a floor plan measuring 2,923 square feet designed with three bedrooms, three full baths and a half-bath. Pulte already has two Shoreview model homes open with another one set for opening in January. These designs were amongst the crowd-drawers during the Lakewood Ranch Tour of Homes held October 20 to November 19 this year. One of the featured models, the Pinnacle, ranges in size from 2,488 to 3,656 square feet and is offered at a base price in the upper $400s. The opening of Waterside homes for sale this summer notably helped lift the banner attendance in the 2017 annual Lakewood Ranch home tour. Laura Cole, VP for marketing at LWR Communities, has been quoted as saying that new visitors to their tour this year rose 32 percent compared with the 2016 event. Overall, the 2017 LWR tour drew nearly 3,000 visitors, an 18 percent increase from last year. What’s even more significant, the whole of Lakewood Ranch is headed for a record year in 2017. LWR Communities reported that with just a month left for this year, its home sales have risen by 50 percent to 1,050 units sold over the year-earlier level. This new record surpasses the 2004 sales of 1,023 homes during the housing boom. Cited as sales drivers were the improving fundamentals of the U.S. economy, such as heightened consumer confidence and job growth. Also providing tailwinds to Lakewood Ranch homes for sale are the growing footprint of national builders in the master development and the continuous opening of new communities like Lakehouse Cove and Shoreview at Waterside in Sarasota.